Metaphors of time and installed knowledge organization systems: Ouroboros, Architectonics, or Lachesis? Introduction. This paper presents three metaphors of time present in knowledge organization systems. Analysis. These three metaphors the architectonic, ouroboric, and lachesic, can be used as lenses to analyse extant or newly designed knowledge organization systems. The evaluation of knowledge organization systems is the raison d’metre for research library and information science and knowledge organization. Designing and building the ideal knowledge organization system is the motivating factor for critique, fieldwork, and analysis this research and design space. What is considered as the ideal such system is the subject of debates the field and results a variety of different approaches to research (Furner, 2010: 21). Some have argued that if we can represent reality faithfully our knowledge organization systems we will create good systems - or more accurately correct systems. Some examples of this are Bliss and his educational consensus (Bliss, 1933) Hjørland’s materialist citation-as-evidence (Hjørland, 1992), and the domain analytic perspective (Mai, 2005; Hjørland and Albrechtsen, 1995). This trend continues the research literature, with various camps arguing for the correct way to build a correct knowledge organization system (cf. Fox, 2012; Szostak, 2013). Yet, one thing that remains to be answered is does correct hold over a long period of time? And if it does not, how does that effect how we evaluate knowledge organization system? For example, if a domain changes, what happens to the older classification, say 19th century biology? Or theories of race from 1900-Present, (cf. Furner, 2007). This paper describes current work that examines the effect of time on the semantics of knowledge organization system and then returns to this question of evaluating such systems based on whether or not they are correct. order to do this I will examine a foundational issue: the metaphor used to describe time knowledge organization systems. It is important to study the effects of time on semantics because we can observe dramatic change large and installed knowledge organization systems, like library classification schemes - changes that effect browsing, retrieval, and sense-making, as well as identify formation and the right to name. These changes are brought about for numerous reasons. There are some social justice reasons, for example, naming a group of people what they want to be called is a reason to change racist language. Other reasons, like changes literary warrant, are also cited. For example, eugenics is a term that was once written about biological sciences, and it is not commonly done so now. So the term eugenics is no longer used the biological sciences of the Dewey Decimal Classification. As a result, long-lived collections, books about the biological aspects of eugenics occupy the same class as books on berries and nuts and other reproductive parts of plants (Tennis, 2012). With these two examples we can see that the evaluation of (1) a particular knowledge organization system or (2) design requirements for a not-yet-built system has to account for the eventual change semantics over the course of time. If we were correct at one point time, but we are not correct now, what do we do about correcting our mistake? This question requires us to address two things. The first is to ask what is the extent and variety of change extant knowledge organization system? The second is what time metaphor for designing for change might be adopted as an amelioration to the problems presented by the effect of time on knowledge organization systems? We will describe what we currently understand to be the variety and extent of change knowledge organization system first. We will then address the second issue of metaphors. Time and change, knowledge, literature, or semantics, is a constant concern for the discipline of knowledge organization. E. C. Richardson, his Classification: Theoretical and Practical (1901) describes his laws for classification, specifically the Historical Law and the Law of Evolution. The historical law claims that things, the subject of classification, proceed through space and time from more simple to complex. The corollary to this is the Law of Evolution which states that only those things the grow more complex through time persist, while those that do not grow more complex dissolve and disappear. The recognition of this leads subsequent theorists, like S. R. Ranganathan, to treat the constant change subjects the universe of knowledge as a design constraint. Ranganathan’s concern was to build a dynamic theory of classification (Ranganathan revised and edited by Gopinath, 1989 p. 5). This would allow for documents with new subjects to be placed what he called a filiatory sequence (Ranganathan, 1967). The librarian’s formal act of naming, of recording the topical description of a document or of specifying a relationship between named topics, is necessarily performed at some point time and inscribed into the apparatus of bibliographies, catalogs, and indexes. As time passes that act recedes from the present into the past. During the same flow of time the prior discourse, upon which the choice of name was derived, has continued, evolved, and changed, and naming practices can be expected to have evolved with those changes. Also, as the future becomes the present, new futures continue to be foreseen, and the forward-looking perspective of the subject cataloger increasingly comes to be related to new and different future discourses. However, an assigned name, once inscribed, is fixed. So, with the passing of time, its relationship with both the then-past discourses and also the then-future expected discourse needs both drift away from the perceptions of an advancing present. Assigned names are, therefore, inherently obsolescent with respect to both the past and the future. Discourses and the librarians flow forward with time, but the assigned names have been inscribed for, and fixed in, a receding past. (Buckland, 2012 p.
Here we see one metaphor for time information systems. This metaphor puts the act of description on a single point the line of time. It also describes the semantics of that description as not being fixed or even relevant at a future or past time. It is one view of change. Companies regularly merge, split or disappear altogether, while new professions or categories of activity not covered by the official nomenclatures constantly come into existence, as with the diversification of IT jobs. From a dynamic point of view, an ideal database should therefore match the rhythm of its updates to the (unforeseeable) division into ‘layered timescales’ of the changes reality that it seeks to grasp. We must add to this the necessity, always revealed a posteriori, to integrate unforeseen observations, prohibited a priori by the closed world assumption, which states that, for evident operational reasons, every fact that violates the database formal integrity constraints is considered to be false. (Boydens and van Hooland, 2011: 284). Boydens and van Hooland posit how we might handle change an information system - that it be constantly updated even a complex multi-strata conception of time scales. This ideal solution solves the problem outlined Buckland (2012) above. If we are constantly updating the database then there is no past or future meaning. However, as they observe, this requires a particular perspective on and analysis of information systems. Likewise the design requirements they offer for information systems to accommodate the need for this constant update of the semantics are specifically creating partial or preliminary and less formal categories. This may only work for some kinds of information systems, and might not work for very formal information retrieval systems. The problem and the discussion around an amelioration discussed by Boydens and van Hooland seems related to the question of characteristics of infrastructure, outlined by Star (1999) and Star and Ruhleder (1996). Some of those characteristics, like: embeddedness, links with conventions of practice, built on an installed base, becomes visible on breakdown, and is fixed modular increments, not all at once or globally seem related to the Boydens and van Hooland analysis. The difference may be a matter of scale. Perhaps Boydens and van Hooland are talking about a smaller information system infrastructure compared to those discussed by Star and colleagues. Another difference is the metaphor of time used by Star and her collaborators. If a change cannot be fixed globally and all at once, we have a different conception of semantics, what these semantics are linked to, and their relationship to what has come before. This is because time is linked to change knowledge organization systems. And these relationships between past and present concepts and relationships between concepts are of primary concern for those doing ontogenic analysis of knowledge organization systems. Ontogenic analysis is the description of how a subject changes or a set of classes change a knowledge organization system over time. Major systems like the DDC, UDC, and Wikipedia are the objects of ontogenic analysis (e.g., Salah et al., 2012; Suchecki, et al., and Tennis, 2012). A related area of investigation looks at the versioning of schemes order to propose design recommendations handling change (Hillmann et al., 2010; Tennis, 2007; Tuominen et al., 2011). Much of this research assumes an accretion of meaning and structure over time. this case time is neither a single line, nor is it and constant froth of meaning. It is more geologic or archeological. For example, we can see how different editions of the UDC grow over time. See Figure 1 drawn from Salah et al., (2012). Figure 1: UDC over time. (a) is the distribution of UDC main classes. Inner ring is 1905 and the outer ring is 1994. (b) is the distribution of UDC main classes. 1994 (inner most ring), 1997, 1998, 2005, 2008, and 2009 (outer most ring). We can also see how a single subject changes position a knowledge organization system, like eugenics the Dewey Decimal Classification. See Figure 2 from Tennis (2012). Figure 2:. 'Eugenics' the Dewey Decimal Classification organized by decade and displayed at the centuries level of the classification scheme. Given these two visualizations of ontogenic analysis it seems clear that researchers this field assume a kind of geologic time scale their analyses. This is different form Buckland’s conception of time erasing meaning from the past and the prospective future, but perhaps similar, though not identical, to Boydens and van Hooland’s strata of time scales and change. Above we have reviewed how time and change are currently conceptualized the literature. We can see that there are perhaps a range of metaphors used, and because of that we have still to address the question of evaluation through these metaphors. Now we can address those metaphors more explicitly. Above we described some of the current ways which researchers knowledge organization have studied how things change knowledge organization systems. We have also started to point out where metaphors of time and change have been invoked by researchers, either explicitly, or implicitly. this section we address some of those metaphors and name them. The purpose for doing this is so that we can identify the lens through which we can evaluate knowledge organization systems over time. It is clear that there will be debate over which metaphor is best for this work, just like there is debate on how to define when a knowledge organization system is correct, and when it is not (see above). The value doing this, even with a debate anticipated, is that we gain deeper understanding, a more fundamental understanding, of our evaluation of knowledge organization systems by being more explicit about the kinds of analysis possible and desirable to do this work. the ontogenic analysis above, we saw a kind of geologic or archaeological metaphor for time and change knowledge organization system. Each edition was considered a different stratum, independent of its publication date. So that the case of the UDC we see that 1994, 1997, 1998, 2005, 2008, and 2009 are all visualized as the same intervals and volumes, the only variation being the quantity of main classes., which changes the distribution of the colours of the rings. Likewise, the analysis visualized Figure 2 above considers either the presence or the absence of eugenics the knowledge organization system. Here decades are used to show time, but change is marked by whether or not the subject appeared the classification schedules. Both of these examples of ontogenic analysis operate on an architectonic metaphor for time and change. this sense architectonic means systematic, designed, and formalized meaning progressing through time. This metaphor assumes that meaning is discrete from edition to edition, and that knowledge organization system are potentially ruptured through the change that results a new edition. We can contrast this with more incremental architectonic time where we do not issue editions, but rather revise piecemeal one concept at a time, without the declaration of a new edition. This has been observed the theoretical literature (Tennis and Sutton, 2008) as well as practice the form of the Library of Congress weekly updates (Library of Congress, 2013). Both of these kinds of architectonic metaphors are different from what Buckland and Boydens and van Hooland use. Both papers address above, the Buckland and the Boydens and van Hooland, consider change meaning to be immediate, even though it is tied to the past and directs meaning for future use knowledge organization systems For Buckland the subject description assigned by librarians is constantly moving toward obsolescence. As he says, “an assigned name, once inscribed, is fixed. So, with the passing of time, its relationship with both the then-past discourses and also the then-future expected discourse needs both drift away from the perceptions of an advancing present,” (Buckland, 2012 p. 284). For Boydens and van Hooland the interaction of users with databases should signal an immediate change meaning even negotiation with a longer time of juridical change (long-term), database management time (medium-term). both of these cases we can see that change is a new meaning, springing forth from an old meaning, but with no guarantee for fixity the future. So meaning is recreated with a tie to the past. Metaphorically this is like the ouroboros, the serpent eating its own tail. See Figure 3. This metaphor implies that not only is something new constantly emerging from old, and that it too will end. It also signifies that this process of almost immediate semantic shift will never end. This is not unlike Mai’s description of unlimited semiosis (Mai, 2001). The question that does surface when is it practicable to consider time this way knowledge organization systems? When is it ever possible to be correct if we never have a fixed meaning? Figure 3: Drawing by Theodoros Pelecanos, the alchemical tract Synosius (1478). This metaphor of constant renewal has a corollary the practice of knowledge organization. The editors of the Dewey Decimal Classification system have, on occasion, phoenixed particular sections of the schedules. That is, they have erased one set of classes and their hierarchy, and replaced it with a new set of classes. This is a structural-semantic change that happens on a longer time scale than invoked by either Buckland or Boydens and van Hooland. The act of phoenixing is part why the architectonic metaphor is used when considering editions of knowledge organization systems. There is one final metaphor that we want to consider here. That is of time knowledge organization systems as an allotted amount, from beginning to end. this metaphor change has a singular relationship with what has come before, it is additive. this metaphor, invoked by both Richardson and Ranganathan, knowledge at any one point time can be represented, but if we need to add we can, a single direction from past to present, by adding to the system. This latter was a primary concern for Ranganathan, whose dynamic theory of classification sought to establish how new facets and isolates could be added to schedules for classification without disrupting the order established by earlier editions of the scheme. This metaphor we call lachesic after the Greek and Roman goddess Lachesis, the Fate that decides the lot of a human’s life, from birth to death. She measures out the entirety of the experience. Lachesis is her Greek name. Ranganathan’s desire was to create a single line of knowledge organization, by allowing new subjects to emerge and be accepted hospitably into the extant scheme. There are potential problems with this, because it assumes that the meaning of a single subject stays the same even with the addition of new subjects. For example, engineering when it first appears the Colon Classification is the engineering of the early twentieth century. Is it the same as the engineering of today? Does the extension of engineering change with the addition of nano-engineering as new subject? We are starting to study this particular problem, but there are many aspects to it that should be considered (Tennis, 2012). Each of these metaphors, the architectonic, ouroboric, and lachesic, govern our views on time and change knowledge organization system. the case of the ouroboric model of time and change knowledge organization system, we have to decide when and how we understand a particular knowledge organization system to be correct. If we follow domain analysis, which situates validation of correct knowledge organization system the corroboration between domain and the particular knowledge organization system, we should be able to ascertain some fixity of meaning. Otherwise we would not be able to build a knowledge organization system from the analysis of a domain if the semantics were constantly shifting. This means that domain analysis cannot align domain analysis with this metaphor of time and change knowledge organization system. However, we might be able to read Buckland as concluding that the ouroboric metaphor is not immediate, that is progresses slowly. this case, we are a constant state of validation between domain and knowledge organization system. This is the manifestation of the snake eating its tail. The knowledge organization system is built according to the domain analysis, and then the subject description begins to fade into obsolescence, so the need to assess the domain resurfaces, and the cycle begins again. the lachesic metaphor of time we assume that once knowledge organization system is correct its only change is to add concepts and relationships that did not exist before. There is no commitment evidenced the literature that practitioners must use older concepts. Having said that, older concepts are not revised the lachesic models of change knowledge organization system. Domain analysis a lachesic model would only introduce new concepts and relationships. It would not revise old concepts. Again, we have to ask the question as to how often, one would reconsider the domain a lachesic model. Architectonic models of change and time knowledge organization system are, a way, the most measured of the time metaphors we have so far discussed. The only time we consider when we should consult the domain, if domain analysis is our modus operandi, is when we consider issuing a new edition. Likewise, we only build relationships between what has been revised and what has not when we issue a new edition the architectonic metaphor. The incremental architectonic metaphor we might see the reconsideration of the domain move more quickly, but this is, as far as I know, currently an unknown. Each of these three metaphors can be loosely aligned with perspectives on indexing, which dominate the literature. the case of architectonic metaphor, the primacy seems to be placed on the system and its changes. 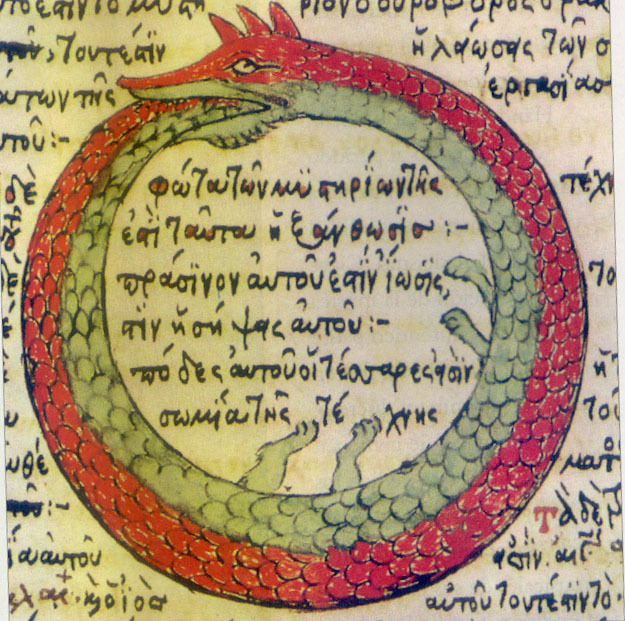 With the ouroboros metaphor see the user’s meaning surface relation to change and time. With the lachesic metaphor we perhaps see documents and their semantics given primacy to change the scheme by adding more over time. These are rough approximations, but they could be useful comparisons to make. this section we have described three metaphors for conceptualizing time and change the context of knowledge organization system. These three metaphors were our interpretation of time the context of a subset of extant studies. If we see these metaphors at play, then what effect does time have and our appending time through a particular metaphor on knowledge organization systems? The effect of time on knowledge organization systems (knowledge organization system) is measured by the metaphor used to describe change. If an edition is published 1876, but no class or words associated with a class, nor any relationship is changed, then there is no time considered. The only caveat here would be the use of the class for a particular collection. For example, if a single class contained books on a topic, but the interpretation of that word and class (and its relationships) was reinterpreted by classing books on other topics the same class over time, then we would have some change - change extension of books for the class over time. The lachesic metaphor of time might lead us to something like this. Leaving this very interesting hypothetical (but possibly observable) caveat aside we can operationalize our definition of time as change knowledge organization system. This is an important operationalization evaluating knowledge organization system, because changing a knowledge organization system might mean it is no longer correct. Or the knowledge organization system is changed because it is no longer correct. This sense of motion, moving from incorrect to correct through change the knowledge organization system influences our discussions of evaluation of knowledge organization system, for none of them seem impervious to change. Yet we must understand what change does to knowledge organization system. That is, is there any sacrifice for making a knowledge organization system correct through change? The degree to which we currently evaluate information systems is by their degree of correctness. While this is not the only way to evaluate knowledge organization systems, it is the dominant one, and shapes much of the discourse and research knowledge organization. Given this practice, and given that we might employ different metaphors for time and change these systems, we can beg to question the atemporality of current discussions of knowledge organization systems. If a system, at this point time, comports with the current educational consensus (following Bliss’s conception), does that mean it always has and always will? When will it comport if things change? When will it not comport? Further, what is the relationship between retrieval, browsing, and sense-making large installed system when they do undergo change? Or how do we help users whose semantics may change from day-to-day as presaged by Buckland and Boydens and van Hooland? The past is prologue for the evaluation of knowledge organization systems. It is possible to change our assumptions about how we evaluate knowledge organization systems. We may not follow the dominant (yet diverse) paradigm of evaluating such systems based on a level or degree of correctness. Following Feinberg, it may be possible to consider more rhetorical or artistic issues (Feinberg, 2010a and 2010b). We might also consider aesthetic issues (Ojennus and Tennis 2013a and 2013b). these cases time would perhaps not be operationalized as change, though it could be. And the evaluation of knowledge organization systems built on rhetorical, artistic, or aesthetic principles rather than principles that are meant to lead to a correct representation, would likely use different criteria, for example, how does the knowledge organization system comport with some aesthetic ideal? This is not a concern for those who want a system to corroborate the correct way of representing knowledge. So with this consideration, we might conclude that a significant, if not foundational issue for the evaluation of knowledge organization systems is to account for change over time, and specifically, the methodological and philosophical concerns that grow out of particular metaphors for change such systems. It perhaps is time for us to take the long view on how we evaluate knowledge organization systems, because change will come. Aalberg, T. (2002). Navigating bibliographic catalogues. Proceedings of the 6th European Conference on Research and Advanced Technology for Digital Libraries ECDL 2002, LNCS 2458 (pp. 238-250). Berlin: Springer. Bliss, H. E. (1933). The organization of knowledge libraries and the subject-approach to books. Wilson: New York. Boydens, I. & van Hooland, S. (2011). “Hermeneutics Applied to the Quality of Empirical Databases.” Journal of Documentation 67(2): 279-289. Braudel, F. (1949/1996). La Méditerranée et le Monde Méditerranéen à l'Epoque de Philippe II. Three volumes. (University of California Press). Buckland, M. (2012). “Obsolescence Subject Description” Journal of Documentation 68(2): 154-161. Feinberg, M. (2010a). “Two Kinds of Evidence: How Information Systems Form Rhetorical Arguments.” Journal of Documentation 66(4): 491-512. Fox, M. (2012). Review of Szostak, Rick. 2003. A Schema for Unifying Human Science: Interdisciplinary Perspectives on Culture. Selinsgrove, PA: Susquehanna UP And Szostak, Rick. 2004. Classifying science: Phenomena, Data, Theory, Method, Practice. Norwell, MA: Springer. Knowledge Organization 39(4): 300-303. Furner, J. (2007) “Dewey Deracialized: A Critical Race-Theoretic Perspective.” Knowledge Organization 34(3): 144-168. Furner, J. (2010). “Philosophy and Information Studies.” Blaise Croned. Annual Review of Information Science and Technology, vol. 44. (Information Today). Hjørland, B. & Albrechtsen, H. (1995). “Toward a New Horizon Information Science: Domain-analysis.” Journal of the American Society for Information Science 46(6): 400-425. Hjørland, B. (1992). “The Concept of Subject Information Science.” Journal of Documentation 48(2): 172-200. Mai, J-E., (2005). “Analysis Indexing: Document and DomaCentered Approaches.” Information Processing and Management 41(3): 599-611. Mai, J-E., (2001). “Semiotics and Indexing: An Analysis of the Subject Indexing Process.” Journal of Documentation 57(5): 591-622. Ojennus, P. & Tennis, J. T. (2013). "Modeling the aesthetic axis of information organization frameworks, part 1: Theoretical basis." Journal of Documentation. 69(6): TBA. Ojennus, P. & Tennis, J. T. (2013). "Modeling the aesthetic axis of information organization frameworks, part 2: Case studies." Journal of Documentation. 69(6): TBA. Pelecanos, T. (1478). Fol. 196 of Codex Parisinus graecus 2327, a copy (made by Theodoros Pelecanos (Pelekanos) of Corfu Khandak, Iraklio, Crete 1478) of a lost manuscript of an early medieval tract which was attributed to Synosius (Synesius) of Cyrene (d. 412). Ranganathan, S. R. revised and edited by Gopinath, M. A. (1989). Colon Classification edition 7. (Sarada Ranganathan Endowment for Library Science: Bangalore). Richardson, E. C. (1901). Classification theoretical and practical. New York, NY: Charles Scribner's Sons. Salah, A.A.A., Gao, C., Suchecki, K., Scharnhorst, A. & Smiraglia, R. P. (2012). “The evolution of classification systems: Ontogeny of the UDC.” Preprint on Arxiv http://arxiv.org/abs/1204.3769 Forthcoming Proceedings of ISKO 2012. Star, S.L. (1999). “The Ethnography of Infrastructure.” American Behavioral Scientist 43(3): 377-391. Star, S.L. & Ruhleder, K. (1996). “Steps toward an ecology of infrastructure: Design and access for large information spaces.” Information Systems Research 7(1): 111-134. Szostak, R. (2013). “Speaking Truth to Power Classification: Response to Fox’s Review of My Work, KO 39:4, 300.” Knowledge Organization 40(1): 76. Tennis, J.T. (2012). "The Strange Case of Eugenics: A Subject’s Ontogeny a Long-Lived Classification Scheme and the Question of Collocative Integrity." Journal of the American Society for Information Science and Technology 63(7): 1350-1359. Tennis, J.T. (2012). “Facets and Fugit Tempus: Considering Time Faceted Classification Schemes.” (2012). Proceedings of the 12th International Conference for Knowledge Organization. (Mysore, India). Advances Knowledge Organization vol. 13. Ergon: Würzburg: 58-62. Tennis, J.T. (2010). “Measured Time: Imposing a Temporal Metric to Classificatory Structures." Proceedings of the 11th International Conference for Knowledge Organization. (Rome, Italy). Advances Knowledge Organization vol. 12. Ergon: Würzburg: 223-228. Tennis, J.T. & Sutton, S. A. (2008). “Extending the Simple Knowledge Organization System (Sknowledge organization system) for Concept Management Vocabulary Development Applications.” Journal of the American Society for Information Science and Technology. 59(1): 25-37. Tennis, J.T. (2007). "Scheme Versioning the Semantic Web." Cataloging and Classification Quarterly 43(4/3): 85-104.